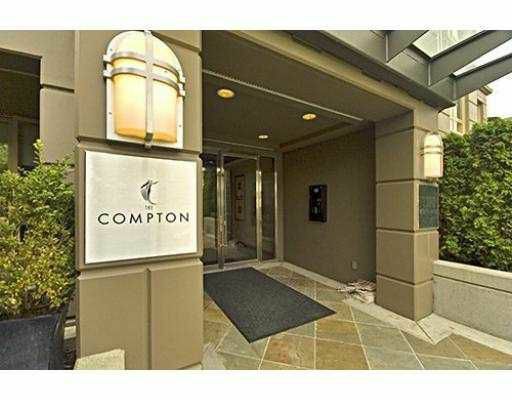 Immaculate 1 bdrm & den unit at the Compton, one of South Granville's executive highrise developments. Unit features a well laid out open floor plan with quality finishes which include stainless steel appliances (w/gas stove), granite counters, gas fireplace, balcony & 1 parking. This quiet residential location is just steps away from the finest attributes South Granville has to offer. Solid Concrete Construction by Polygon. Act fast! !